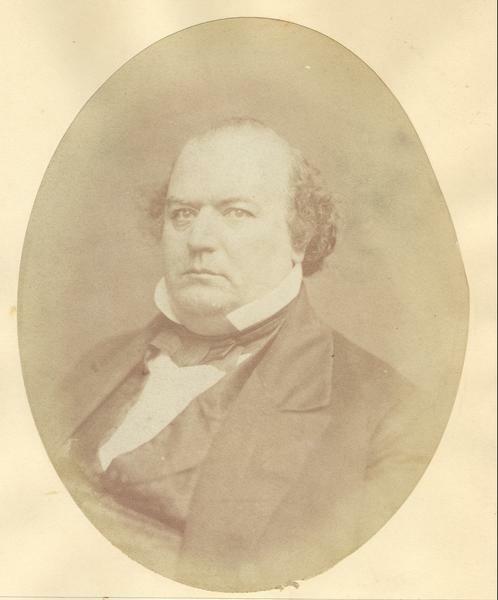 Quarter-length oval portrait of George H. Walker, who was born in Lynchburgh, Campbell County, Virginia, October 5th, 1812. He emigrated to Wisconsin in October 1833. He located first in what is now Racine County, and was the first settler in the county. He later moved to Milwaukee and took up his residence there on March 20, 1834.